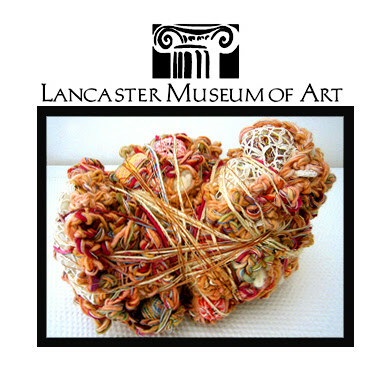 Fiber National 2007, a curated exhibit of contemporary fiber art, opened this past Friday at The Lancaster Museum of Art in Lancaster, PA. I have two pieces in this year's exhibit - Oocyte 01 and Oocyte 03, mixed media/fiber form sculptures created during the spring of 2007. 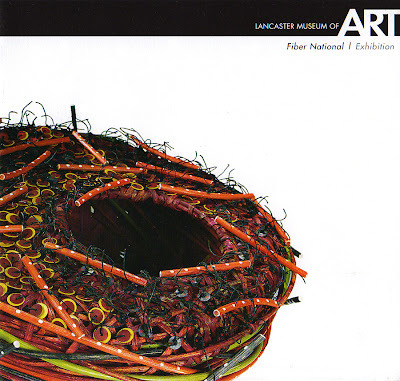 Gail M. Brown, an independent curator of contemporary craft, comments in the exhibit's catalogue that "as a juror for Fiber National 2007, (she) was inspired and gratified by the diversity of imagery in the applicant pool. From works of beautifully executed traditional design, minimalist geometric form and classic hand and machine work techniques emphasizing order, simplicity, and cadent repetition to a gamut of other works of asymmetric exploration, digital and other experimentation, structural complexity, surface excess and rhythmic chaos...What makes an exhibition meaningful? Ideas and objects: diversity, breadth, contrasts, content, intentions, authenticity, technical challenges, prowess, and passion." Fiber National is on view from August 4 through September 9, 2007.